Winter sunsets have a subtle quality that I prefer over their summer counterparts. Instead of a bursting of hues across the spectrum of reds, oranges, purples and yellows, winter sunsets seem to juxtapose two colors and just let them have at it. I was walking to the Summit train station, returning to New York for the night and found myself in the midst of a near-perfect winter sunset. Thankfully I had the Sony RX-100 with me, so I was able to take a few shots before the two minute window of light completely disappeared. The warm orange hues of the illuminated road contrast just beautifully with the cirrus clouds in the nighttime sky. You can even see St. Teresa's in the small opening between the trees. Just as I was putting my camera away I saw a plane flying across the near-nighttime tableau. It looked so tiny against a cirrus sky that seemingly could swallow it whole. I was able to capture it against a well-lit section of the sky. Content with the shots, I took my train back to New York. Part of the resurrection of Disaffected Prep came from an idea I had: what if I could take the most mundane activity I find myself in everyday and instead, find and capture some semblance of beauty within it? Mind you, this isn’t some sort of post-modern American Beauty-esque ,“find the natural wonder of a floating plastic bag,” but rather, finding real aesthetic paydirt. This activity I’m talking about is one of the most dreadful human activities out there - commuting to and from work. To spot and document these moments of joy would require a camera, but I find the iPhone’s capabilities lacking. I’m also not willing to carry a DSLR with me in midtown, given their bulk. So I purchased an impressive and very compact Sony RX-100 series for this exact mission, a swiss army knife of a camera that I can carry in my bag and snap a quick photo without feeling like a tourist. The first installment of what I’m calling, “My Amazing Commute,” (said without irony or sarcasm), details the Chanin Building at on the corner of Lexington Avenue on 122 East 42nd Street. The building is a wonderful expression of the Art Deco style, and I think more New Yorkers would appreciate it if it weren’t totally overshadowed by the Chrysler Building, which is catty-corner to it on 42nd. The Chanin also serves as an access point 4/5/6/7 subways through its lobby. If you want to commute home via the 4/5/6/7 in the area, you’ve got plenty of options: there are a couple of pure-form structures of egress without style or personality, there’s a subway entrance near Cipriani, and of course there’s a path to the Lexington line in a little Beaux-Arts masterpiece called Grand Central Terminal. Grand Central is easy on the the eyes, of course, but if you’re a frequent visitor of Disaffected Prep you know that I’m a champion of the underdog versus the overexposed, the indie over the commercial. So it should come as no surprise that I try to make my way through Chanin rather than Grand Central as much as possible during my commute, just so I can feel a part of its under-looked history and be surrounded by beautiful aesthetics, if only for a minute. The lower bars, I'm guessing, are for kids, you know? The Chanin Building was built in 1929, and is 56 stories tall. I don’t know much about the building itself, beyond what’s available on Wikipedia, but I pass through the lobby frequently and love it. Part of the appeal are the revolving doors - they’re heavy and sturdy - and cut at at these hospital-corner tight 90 degree angles in a handsome mixture of glass and bronze. They’re the kind of special and unique doors that you expect to be transformed into something beyond yourself just upon exiting them. Through the revolving doors, you’re found in a vestibule that features four push/pull doors into the main lobby. But it would be a mistake to walk hurriedly through just to get to the next downtown train. There’s a mind-blowing amount of art-deco detail here, real genuine work you can press your nose one inch away from and just stare. There’s a radiator screen that features this amazing geometry of imbricated, undulating crescent waves, bronzed triangles and soaring beams bursting through the entire grillwork. All this for a radiator cover. Who is John Galt? Honestly, I don't care. There’s also these figures that I’m totally not wild about because they unfortunately remind me of an Ayn Rand book (I’m not a fan of her turgid prose) but I’m including as a picture to give a completist view of the vestibule and hey - maybe it rings somebodies’ cherries out there, who knows? The lobby filled with holiday cheer. The lobby guards, not so much. I was also able to peel off one (not great) photo of part of the lobby before I was (not so) politely told by the lobby guards not to take pictures, who were (the guards), despite the accoutrements of holiday decorations all throughout the Chanin Building lobby, not quite filled with any jolly cheer, at all. Each time I walk the Chanin Building I get the feeling of a long-past New York where men wore hats to work, Studebakers lined the streets and you could get a decent cherry rickey within a couple of blocks of wherever you were. I don’t long for that era, I’m perfectly content in this one, but it is still nice to be in touch with it, even if it’s just by passing through on the way home. I didn’t start thinking about how the barrel cuffs of an oxford shirt should be worn in college or in prep school or even upon reading the 121st line of Eliot’s Prufrock. Instead, I picked it up as an eight year old in 1990 visiting my sister at her liberal arts college in Pennsylvania. I was fascinated by the college guys rolling up the sleeves of their oxford shirts while also rolling these large metal canisters into the basement of their fraternity houses. One of my sister’s boyfriends in college, I’ll call him E.B., even had a habit of rolling up the cuff of his short sleeve polo shirts. Long before the slim fit wave coursed through the menswear market, I see this now as a small nod to better aesthetics and fit. To this day I feel uncomfortable with a polo shirt sleeve just worn regularly; I have to cuff the fabric at least once, just like E.B.. It isn’t some sort of suns-out, guns-out braggadocio, it’s about what feels natural, and I learned that from him. The author, aged 9 or so, on his sister's college campus. Note the bean mocs, no socks and rolled cuffs already. There’s a beautiful poem by the contemporary poet Cynthia Rylant called, “God Went to Beauty School,” which describes how God, “got into nails...because He’d always loved / hands-- / hands were some of the best things / He’d ever done...” and that working in the salon enabled him to “admire those delicate / bones, just above knuckles, / delicate as birds wings...” Wrists, too, are a beautiful creation, like the delicate fingers described by Rylant, and rolling your cuffs lets the world see them. Oxford shirts that don’t cuff well can be a dealbreaker for me. Standbys like Ralph Lauren and Billy Reid work well, though there’s nothing like the six-pleat shirring at the barrel cuff of a Brooks Brothers oxford to give weight and integrity to the end of the shirt. It’s a strange thing, after all these years my eye is trained to look at the sheering of a shirt to tell if it’s Brooks Brothers, just in the same way I might now instinctively look to a woman’s left hand to determine if she’s married. Classic six-pleat sheering, from a BB shirt in my closet. Personally I always roll the cuff over the shirt and repeat the process a second time. 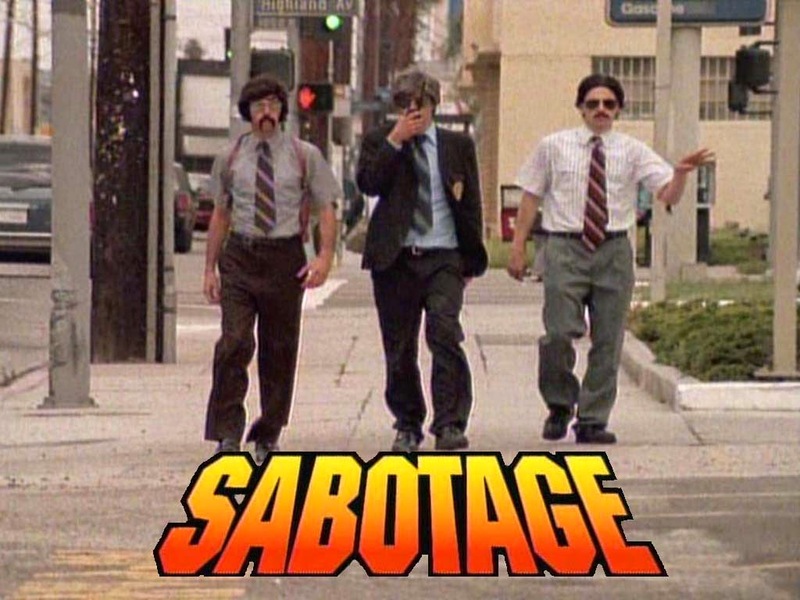 Once in awhile I’ll flip for a third, letting the sleeve rest above the elbow, though it can get one dangerously close to the awful short sleeved dress shirt seemingly worn by Peoria-based IRS accountants and well, the Beastie Boys in their “Sabotage” video. I can see someone reading this and wondering, why bother meditating so much on a flimsy topic? I get that, but I believe there’s more to it. How we interact with clothing is a fascinating symbiosis of clothing preference, sociological background and personal history. What is second nature to me now was born at a very impressionable age on my sister’s college campus. Childhood perspective is always skewed, but at the time E.B. and the frat guys seemed like inspiring figures and I wanted to emulate every (good) thing about them. Now, nearly ten years out of my own college graduation, I see how limited that vision was. A college student isn’t someone larger than life - they’re still adolescents. But somewhere along the line a group of guys planted an idea in my head about how a man should look and dress, and it’s never left me.